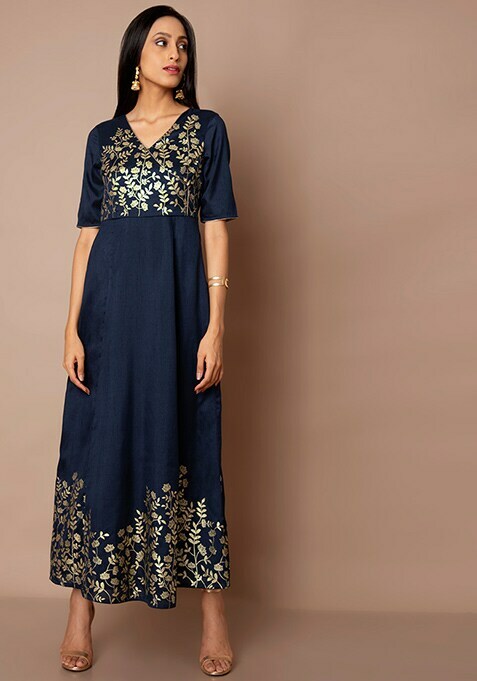 Your bridesmaid wardrobe is incomplete without this navy tunic adorned with subtle floral print in gold hue. Features print on the yoke and hem. Work It: Style this tunic with a gold net dupatta and matching accessories.